The book takes you inside 21 impressive superyachts, some among the world’s 100 largest yachts, and even the world’s 50 largest yachts. Each is distinctly different and outstanding in her own way. Through more than 120 gorgeous photos of inspiring salons, staterooms, and more, you feel as if you are standing on board yourself, surrounded by their beauty and enjoying an unsurpassed experience. 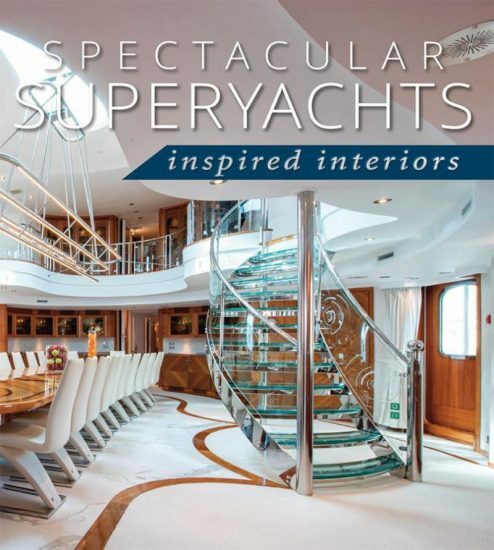 Spectacular Superyachts: Inspired Interiors is more than a visual history of the luxury-yachting lifestyle at a moment when it is experiencing strong growth. 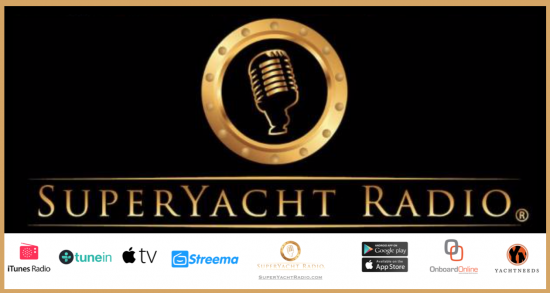 It is a treasure trove of information and insights, bringing both novice and seasoned owners, as well as charter guests and yachting enthusiasts, together on board some of the world’s most remarkable yachts. Some, like Aquijo and Aviva, are only about a year old, while others, like Christina O, are decades-old classics. Still others, like Kismet, re-create a bygone era while simultaneously (and masterfully) blending modern design nods into their ambiance. No matter what the decor or size, each and every one has an amazing story to tell. Ultimately, that’s what unites these specially selected projects. Spectacular indeed: The nearly 7 metre high dining atrium on board Sherakhan graces the book’s cover. From here to the very last page, the reader is treated to true spectacles of design and creativity. See how the chandelier cascading through the main stairway on board 85.6 m Aquilais made of more than 850 pieces of hand-blown glass. Marvel at the regulation-size padel court, more than 20 meters long, that is the heart and soul of the 98.4 m Aviva. Admire how Balinese artisans hand-carved every aspect of 51 m Dunia Baru and more. The Limited-edition book with a print run of just 100 copies captures the community that superyacht design has fostered, as well as the lifestyle that so many love. Published by Superyacht Storytellers and For sale at US$110, shipping is presently available only within the United States. International shipping will, we are told, be available soon. To borrow a word from the books title this is a spectacular book. If you’re a book collector or an admirer of yacht design, this book belongs in your collection.